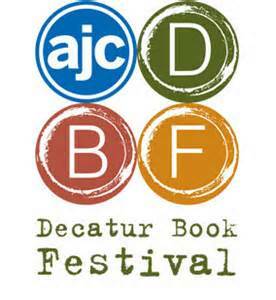 The AJC Decatur Book Festival is coming next weekend, and the lineup this year is utterly spectacular, so be sure and scope it out. Access to full schedule here: http://decaturbookfestival.com/sessions. 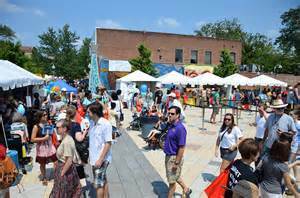 On this list are a huge number of author friends I am excited to see, including David Levithan, Will Walton, Anica Mrose Rissi (her first time as an author at DBF! ), Gwenda Bond, Libba Bray, Sabaa Tahir, Tommy Wallach, Renee Andieh, Rachael Allen, Adam Gidwitz, Delilah Dawson, Andrew Smith, Becky Albertalli, and my hometown girls Laurel Snyder and Elizabeth Lenhard, so it’s going to feel like even more of a party than usual! I’ll also be working as a bookseller for Little Shop of Stories, so if you miss me on the stage, come on by the shop! We’ll have our annual custom DBF Little Shop Tshirts, books signed by presenters (as soon as we get them back from the stages), our NEW Little Shop coffee mugs, and a good ol’ general time! 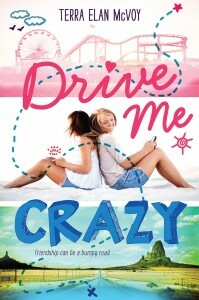 DRIVE ME CRAZY Pulls Into Town Soon! On April 28th, in bookstores and libraries across the land, my brand-new, debut novel for middle grade and tween readers will finally be released, and I have to say I am SO EXCITED!! After writing so many wonderful YA books, what made you decide to try middle-grade? I’ve wanted to write middle grade for a long time, in part because books were especially vital to me during that phase of my life. I also thought switching things up a bit would help me continue to grow as a writer. Prior to now, all the stories I had in my head were aimed toward teenagers, but finally the right project came up at the right time! Bring a Friend Book Release Party! I’m always excited about a book release party at Little Shop of Stories, but this one is going to be EXTRA SPARKLY SPECIAL, because not only are we celebrating Drive Me Crazy, but we’re also celebrating the launch of my friend, writing collaborator, and editor Anica Rissi’s own adorable chapter book Anna, Banana, and the Friendship Split–the first in a terrific series for young readers. We’ll share from our books, and talk about what it’s like to be both friends, and professional/creative partners. Treats will be served and books will be signed, and there may even be a completely fantastic friendship craft. Bring your best friend! The folks at Avid Bookshop in Athens have been my fellow bookstore besties for a long time, so it’s fitting for me to take a road trip up, in order to share this friendship/road-trip tale. We’ll be making friendship pins and plotting our own dream road trips (plus I’ll sign some books), kicking off summer in the friendliest of ways!